In association with the Arts Department of Wexford County Council, the Arts Council and the Creative Ireland Programme. The following artists and schools were selected for this year’s project; Orla Bates with Rathnure National School, Clare Breen with Murrintown National School, Caoimhe Dunne with St. Joseph’s National School – Kilmuckridge, and Oonagh Latchford with St. Joseph’s National School – Ballymitty. Over the course of a fifteen-week programme, pupils responded to the work of each residency artist and were introduced to film making, mixed media sculpture, printmaking, painting and drawing processes. Supported by the Creative Ireland Programme, artists Els Dietvorst and Frank Abruzzese worked with pupils from Ramsgrange Community School for a second year. The residency, developed with Art Teacher Aoife Power, included workshops on drawing, printmaking and photography. Through the themes of climate change and sustainability, the activities focused on promoting artistic and interpersonal skills and enabled pupils to recognize the potential of art to be used as a tool for communication and learning. A mentorship programme ran alongside each residency, and each artist nominated an independent artist or curator they felt was relevant to their professional practice. This mentorship helped to ensure the effectiveness and integrity of the programme on an ongoing basis, while also providing a positive critique for the resident artist. The following mentors were involved in the 2018/189 project: David Begley, Clare Butcher, Els Dietvorst, Eammon Maxwell, and Kate Murphy. ​The exhibition will run in the upper and lower galleries of Wexford Arts Centre. 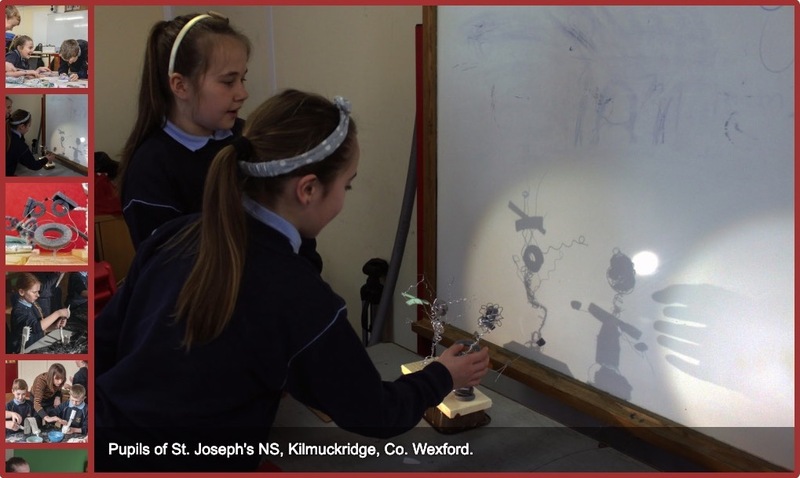 If your school is interested in participating in the Living Arts Project 2019/2020, please contact Catherine Bowe, Visual Arts Manager on +353 (0)53 9123764 or email catherine@wexfordartscentre.ie.